At Fichte & Co, CSR and pro bono work are an integral part of our philosophy. We are committed to running all parts of our business in a way which exemplifies our values, and creates a positive impact on society and the environment. As an organisation, we understand that our expertise can make a real difference to both individuals and the community. We are partnered with Middlesex University Dubai to cultivate the next generation of legal professionals in the region. We work alongside the university’s law faculty to provide a range of learning and development opportunities for students, including guest lectures, seminars, workshops, work placements and the annual Fichte & Co Graduation Award, aimed at preparing them for a career in the legal industry and enhancing their employment opportunities. Fichte & Co is actively involved in WISTA – the Women’s International Shipping & Trading Association. Fichte & Co founder, Jasamin Fichte, launched the association’s UAE chapter in 2010, and as President she continues to champion the role of women in the region’s male-dominated maritime industry. 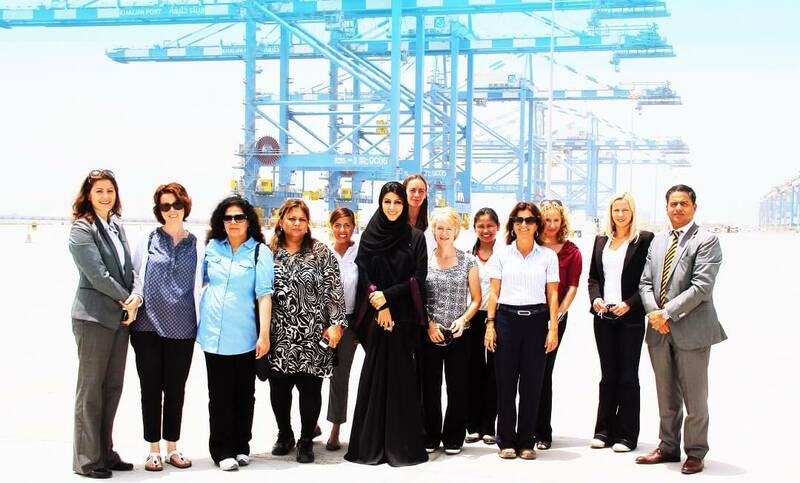 Now with more than 59 members, this growing organisation aims to increase awareness of the region’s shipping industry among professional women, encourage more women to join the sector, and facilitate networking opportunities among women. Reflecting Fichte & Co’s reputation for having one of the region’s leading maritime law divisions, we are also a long-time supporter of The Angel Appeal. A project by The Mission to Seafarers, it funds the MV Flying Angel, which is the only floating seafarers’ centre in the world. Based in Fujairah, UAE, it offers support and a small taste of home to the thousands of seafarers who dock there each day. Through our diverse pro bono work, we regularly cooperate with a range of non-profit organisations, providing legal advice and services when required and devolving fees earned from our participation in any related workshops and seminars. We also focus on assisting new businesses as they tackle the challenges of setting up in the region. We believe that a healthy, responsible and harmonious working environment is key to empowering our workforce to realise their full potential. We have always offered our staff full support in reaching a balance which enables them to maintain the highest standards of quality and productivity. As a forward-thinking, 21st century company, protecting the environment is our priority, and we seek to manage our levels of resource consumption, using sustainable materials wherever possible and enforcing a policy of recycling.